The Bay City Rollers were one of the brightest things to happen in the tumultuous 1970s, illuminating a dark decade marred by falling stock markets, a plummeting economy and industrial unrest. Alan Longmuir, an apprentice plumber from Edinburgh, was inspired by The Beatles to form a band in the 1960s. Firstly, he enlisted his brother and then his cousin and via throwing a dart at a map they eventually became the Bay City Rollers. Success was slow in coming but when it did it was beyond Alan's (and almost everyone else's) wildest dreams. A string of million selling records led to Rollermania - a mass-hysterical fan reaction not seen since Beatlemania. Like a wildfire it spread across the world. The Rollers' juggernaut was out-of-control. Alan Longmuir recounts his surreal journey from the Dalry backstreets to the Hollywood hills and back to being a plumber. Along the way he punctures some of the myths and untruths that have swirled around the group. Most of all, though, Alan captures the great adventure that a bunch of young boys from Edinburgh embarked on that for a few years threatened to turn the whole world tartan. 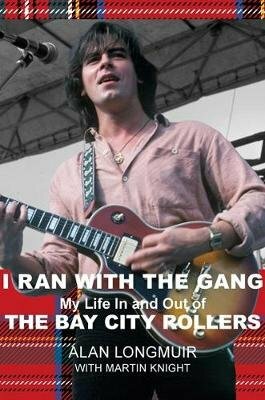 Tragically, while finishing his memoirs Alan Longmuir was taken ill while on a holiday in Mexico marking his 70th birthday and died back in Scotland a short while later. It was his great desire that I Ran With The Gang should be released.